After two awesome EP’s, 2010’s Hymns of Punk Rock Praise and I Refuse in 2011, False Idle has released their first full length album Threat. Based out of Boise, Idaho the False Idle dynamo is comprised of Sef Idle (vocals, guitar), Tyler Lewis (guitar, vocals), Seth Warren (bass, vocals), and Philip Harris (drums). For dedicated punk fans, two of those names stand out. Sef Idle teamed up with his fellow uniSEF bandmate and guitarist, Tyler Lewis, and combined with Seth and Warren, False Idle has pumped out what may be the greatest punk release of 2013. On Threat, False Idle has taken to heart the old punk axiom of delivering a revolutionary and contrary message to an apathetic world. This determined stance is designed to shake the complacency found in our society. Issues such as greed, the corruption of politics and media, and the more personal and poignant issues in family. But there’s nothing like unity, brotherhood, and ineffable hope to demolish the ugliness in society. Front-man Sef Idle digs deep on his 15 plus years of punk music to deliver an in-your-face challenge to live for more. The thoughts that False Idle present have been said before, but none have stated as succinctly, forcibly, and eloquently as found on Threat. A pounding pleasure to our ears and a wake-up call to our souls. 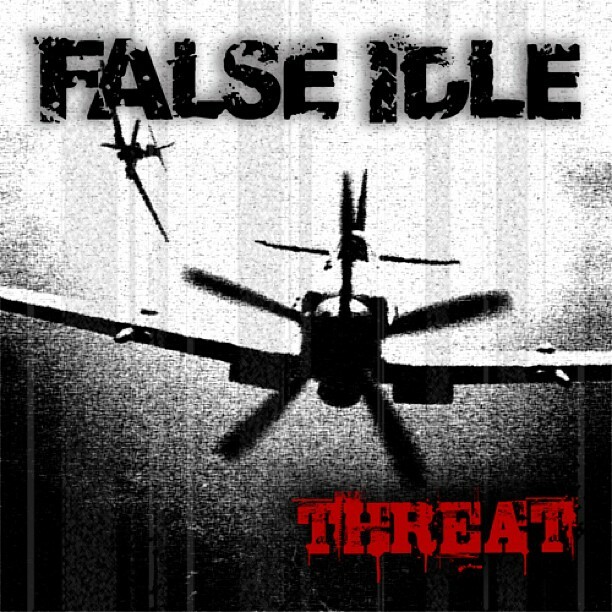 Find the Threat CD at the False Idle store or download it at iTunes.